I love TED. Their presentations are awesome. They make them available on the web for everybody to see. 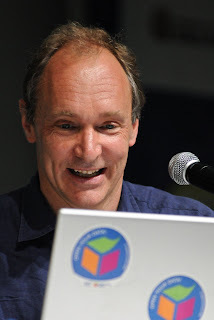 I use Google Reader to learn when something new appears and today I was given the treat of Tim Berners-Lee. Sir Tim talked about Linked Data, in it he mentioned Wikipedia; but it was not Wikipedia that was relevant but DBpedia, the project that extracts data from the info boxes of Wikipedia articles. In the vision of Sir Tim, it is data that is of importance, Wikipedia is connected throught DBpedia and this is how Wikipedia gets much added value. DBpedia is not the only project that links to Wikipedia. When you look at the Wikipedia article on malaria in this way, you find another. From a data point of view, Wikipedia is very much an end-point. You refer to it, you data mine it and it is really fortunate that this has always been allowed. Wikipedia currently does not produce data, that is apparantly something that is reserved for its future.